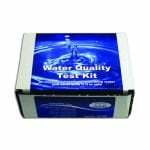 The Watersafe Science Project Kit 10 Pack is a comprehensive test kit that can compare the water quality of up to 10 different water samples. 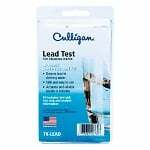 This Test Kit is easy enough for elementary students yet scientifically sophisticated enough for high school experiments or projects. The WS-425SPT provides on the spot results and takes only 10 minutes to perform! The results can be easily transferred to charts or posters for student presentations. All supplies necessary are included as well as directions for use and even a suggested project outline and data sheet! If your looking to impress with your next school project or presentation you cannot go wrong with this product!